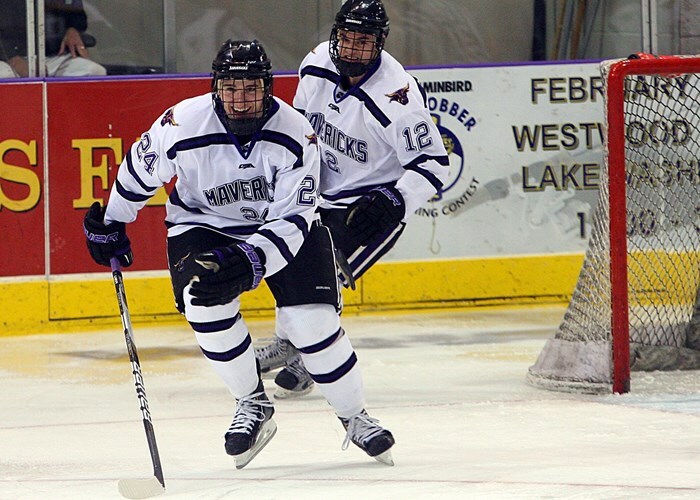 Six straight wins have paid off for Minnesota State as the Mavericks entered the USCHO.com Division I Men’s Poll at No. 20. It marks Minnesota States’s first appearance in the top 20 since Dec. 15, 2008 when it ranked No. 17 to conclude a stretch in which it appeared in the poll 11 straight weeks to open the 2008-09 season and ranked as high as No. 10 the week of Nov. 24. For more on the rise of the branding-iron hot Mavericks, see Dan Myers’ Minnesota State story on Minnesota Hockey Magazine.com. Despite Minnesota’s third-period meltdown in Colorado Springs on Saturday in which the Gophers blew a three goal lead to surrender one of four points to the Tigers in the series, the maroon and gold maintained its No. 4 position and even garnered three first-place votes. St. Cloud State also managed to maintain the status quo at No. 17 after splitting a pair of one-goal games this past weekend at home with No. 13 Nebraska Omaha. Other WCHA schools receiving top 20 considerations were No. 8 North Dakota, No. 11 Denver, and Colorado College which received 63 votes for the top spot among others receiving votes. Here is this week’s USCHO.com Division I Men’s Poll in its entirety.